Lately, I’ve been seeing these crunchy chickpeas everywhere. I decided to give them a try. I wanted to see if they where actually as crunchy as they claim to be. And YES THEY ARE! They make a great snack and you can season them to whatever you are in the mood for. The possibilities are endless… garlic-Parmesan, sweet and spicy or even cinnamon-sugar. I tossed mine in a smokey BBQ rub and I wasn’t disappointed. 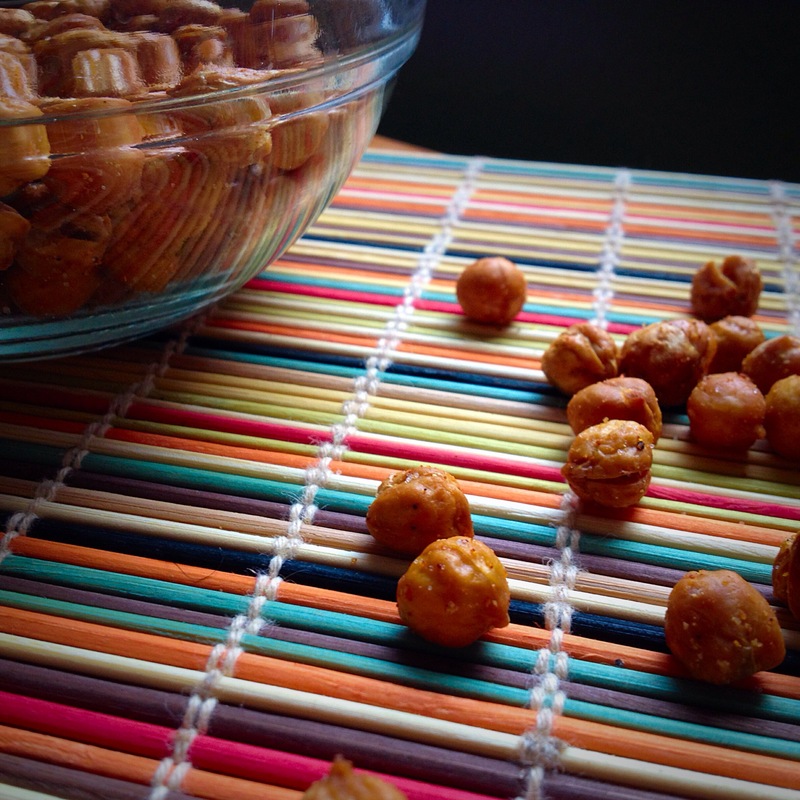 Crispy Crunchy Chickpeas are super easy to make and are high in protein, making it a healthy snack. They’re great eaten all by themselves, topped on salads or thrown in a trail-mix. Drain, rinse, and dry chickpeas. I like to let them dry on a layer of paper towels or a dish towel for about 30 minutes. The drier they are, the crispier they’ll get! In a bowl, toss the chickpeas in the olive oil and seasoning. Spread chickpeas, in a single layer, on a foil-lined cookie sheet (easy clean up). Place the cookie sheet in the oven and roast for about an hour, shaking the pan every so often just to turn them over. The longer and lower the oven temperature, the crispier they get. This entry was posted in Food, Gluten Free, Light, Munchies, Recipes, Snacks, Vegan/ Vegetarian and tagged chickpeas, crunchy chickpeas, olive oil. Bookmark the permalink.